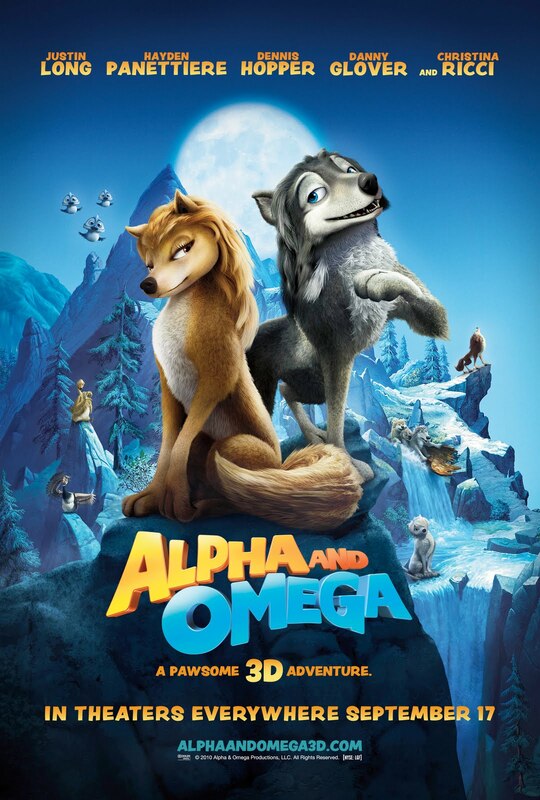 I'll be giving away Alpha and Omega Prize Packs to 2 of my readers. Synopsis: What makes for the ultimate road trip? Hitchhiking, truck stops, angry bears, prickly porcupines and a golfing goose with a duck caddy. Just ask Kate and Humphrey, two wolves who are trying to get home after being taken by park rangers and shipped halfway across the country. Humphrey is an Omega wolf, whose days are about quick wit, snappy one-liners and hanging with his motley crew of fun-loving wolves and video-gaming squirrels. Kate is an Alpha: duty, discipline and sleek Lara Croft eye-popping moves fuel her fire. Humphrey’s motto – make ‘em laugh. Kate’s motto – I’m the boss. And they have a thousand miles to go. 1. Must be a follower through Google Friend Connect. 2. Under 18 please get consent from your parent/guardian. 3. Leave a comment saying "ENTER ME!!" along with your NAME and EMAIL. Disclaimer: This giveaway is being sponsored by 42West.